At Hair Studio Mission, clients get to fulfill their cravings for lush looks. Wielding skillfully a variety of hair treatments, the salon’s hairdressers revamp women and men hairstyles alike. 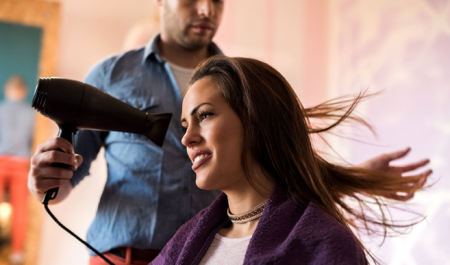 Whether it’s a haircut, blow-dry, highlights, or bang trim, as well as beard or neck shave, visitors to Hair Studio Mission can be sure they will leave the salon all glammed up with stylish hairdos. Promotional value expires 120 days after purchase. Amount paid never expires. Appointment required. Merchant standard cancellation policy applies (any fees not to exceed the price paid for the voucher). Limit 1 per person, may buy 1 additional as gift. Valid only for option purchased. All goods or services must be used by the same person. Merchant is solely responsible to purchasers for the care and quality of the advertised goods and services.